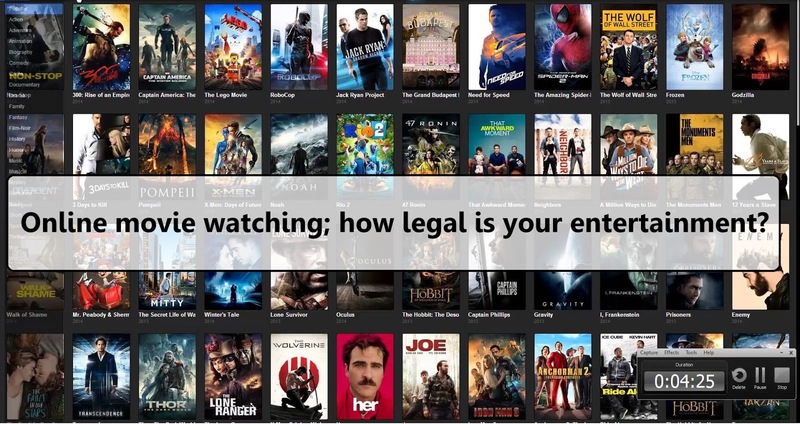 Online movie watching; how legal is your entertainment? Searching on web for latest movies and tv shows will present you with infinite options. You can download unlimited movies and shows for free from some of the sites. They very interestingly provide you enticing deals and movies to watch. They tell you to download movies for free on your computer or smartphones. But they never mention that these sites are totally illegal and have copyrighted content stored. In fact, for the users who are not aware, let me tell you that there are government and private agencies regularly on patrolling on these sites to catch illegal downloaders. Therefore it is better to watch movies legally on your computer or smartphones. One way to watch free movies on your computer or smartphones legally is through few sites that provide you free movies and tv shows. They are totally legal. It is free because every movies or episode is interrupted by advertisements. There example can be YouTube, Crackle, Hulu, CinemaBox HD and Google Video. These sites and applications typically feature impressive free content for entertainment. The other way to watch movies legally on your system is through Public domains. A movie or tv show in public domain means its copyright has expired and its owner has contributed it to the public for watching for free. They dont charge any royalties or charges to the owners as well as viewers. There are around 500,000 public domain that provide you free content to watch like The Internet Archive, Uncle Earls Classic tv Channel, Retrovision and many more. All the shows and movies are free and legal. There are impressive applications and websites that ask you to pay for a monthly subscriptions. You will be happy to know that with movies and shows, unlimited streaming is also allowed. Applications like NetFlix, Hulu Plus, Amazon Prime and many more allow you to watch unlimited movies on subscription basis. All said and done but watching movies and shows on legal sites can be much more safer and of better quality. You can enjoy movies without any tension and with full comfort. What more do we need!